Encourage your child to use these words in your daily conversations. Remember the foundations of 21st century skills are collaboration and communication. Model for your child good communication skills by helping enrich your child's vocabulary. The video below uses sign language to increase student vocabulary about family. We will use sign language throughout the school year as a resource for multi-modality learning. Oh how young children love math! We take out our tubs of toys for free exploration, then we begin to sort, count, and graph. The more opportunities students have for "hands on" math, the deeper their understanding of math concepts. Often, the children do not realize they are doing "math", however the foundations are being laid for graphing,counting, number sense, and addition and subtraction which they will learn later in the school year. In addition to our math tubs, our calendar is a significant part of our math curriculum. Each day students review the days of the week, months of the year, counting, patterning, and graphing. We also practice counting to 100 everyday using music and movement to reinforce our learning. The video link below is just a sample of one of our daily activities. Later in the school year, students will use similar music to learn to count by 5's, and count by 10's. Learning about our fives senses will be the foundation for all of the learning we will do in science. As we see, hear, smell, taste and touch our way through the school year, students will participate in monthly experiments, food tasting, and inquiry based lessons. Our five senses are direct pathways to our brains. We will be singing the song linked below all year to remember our fives senses. 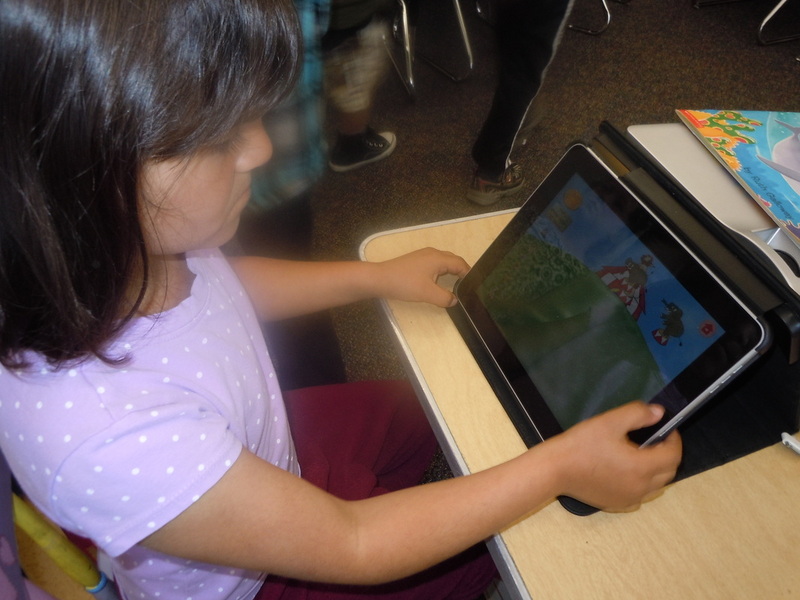 Our iPads are used everyday for a variety of activities. This month students are using apps that support our math, science and language arts instruction. Our current favorites are on the videos below.